Ingrid King does incredible Reiki. We’ve worked with many energy healers and Reiki masters in the past, but we’ve seen the best and most consistent results with Ingrid. Our 19-year-old cat Cumi has been receiving Reiki from Ingrid for several years, and now anytime we need a boost, we book a session. Although we live in California and Ingrid is in Virginia, she has been able to provide grounding & healing for Cumin during times of stress, travel and illness. Ingrid’s work is a staple in our holistic and integrative regimen! Zeus, my 12 year old black labrador retriever, is waiting for me by the door. He knows – don’t ask me how – but he knows that today is Thursday, and Thursday is “Ingrid’s Day” – the day Zeus gets his Reiki session each week. When he saw me leave without him, the look on his face made me cringe. He looked so disappointed, and I am not kidding. Work today interfered with Ingrid’s Day, and I had to cancel it. We met Ingrid almost a year ago. I was looking for anything to improve Zeus’ quality of life. From a rascal who was stealing everything everywhere, suddenly, he became an old guy crippled with arthritis in his knees, with a face becoming so white… I had heard that Reiki could help him in the overall, to make him feel better, and the results are “mission accomplished”! He will never be again the daredevil he was, but he is far more relaxed after Reiki, happier. 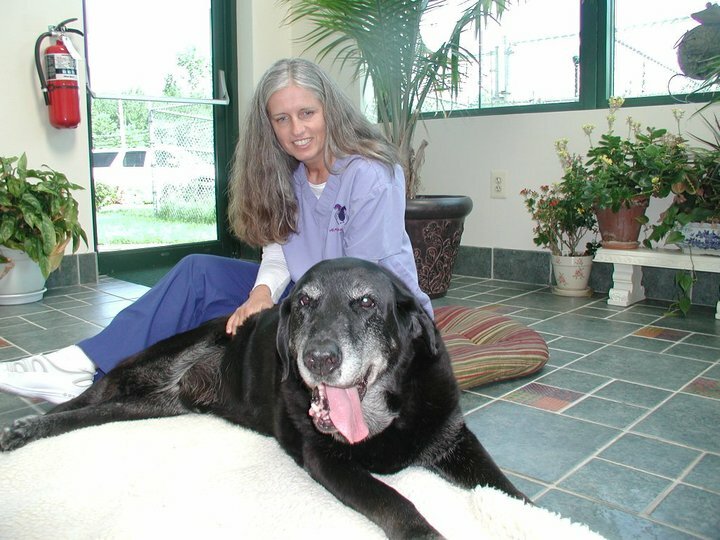 He knows the drill when it’s time for Reiki, goes to the Garden Room at Seneca Hill Animal Hospital Resort and Spa, crashes on the rug waiting there for him, and allows Ingrid to infuse him with energy, and he is good for one more week. Each time we had to skip a week, he was more strained, more tense. That’s how I realized that Reiki needs to be part of his life. I did not expect miracles, but anything which can make him feel better either in his body or in his spirit works for me, and Reiki certainly does that. I just hope that we will have many many more Thursdays to look for. Ingrid has been an integral part of our family for close to two years now. She does Reiki for our 7-year old lab Buddy who has had ACL surgery on both knees. He is a large dog at 115 lbs and the Reiki has helped deal with his allergies as well as arthritis. She gives us valuable advice on diet, alternative medicine and therapies. Ingrid’s love for animals is so apparent in everything she does. Take it from a skeptic; Reiki actually works! Our 12 plus year old female cat (Tiger) had an abscess on the right side of her mouth requiring oral surgery for the extraction of three teeth. For the week prior and one week following, the veterinarian prescribed antibiotics. During the first week, the antibiotics were making Tiger’s stomach upset. Immediately following the surgery, Tiger remained lethargic for the entire week and due to the upset stomach was not eating at all. She lost 25% of her body weight, which was substantial because she was already a small cat. We took her back to the vet who then prescribed pills to make her eat. These pills further aggravated Tiger’s stomach, and she still would not eat anything. To complicate matters more, Tiger showed not even the slightest interest in food. Additionally, she was still extremely lethargic and wouldn’t budge from her resting place. After the second week of not eating, we decided to try Reiki as a supplement to the traditional medicine. Immediately following (within hours) the first Reiki treatment, Tiger was given some Tuna, which she has never refused except for this period of illness (we had tried many times during the two weeks), and finished all the juice in her bowl, although she still would not eat the actual food. A few days later, a second Reiki session was conducted, where Tiger was actually walking about and seemed to have a little energy, even though she still had not eaten anything at this time. Following the second session, Tiger was given more Tuna water, with actual chunks of Tuna in her bowl. This time she licked up not only the juice but began eating the actual chunks of meat. 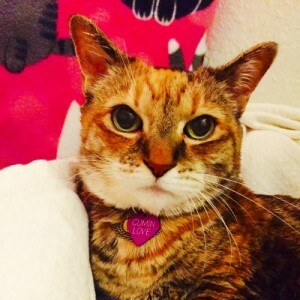 Also during the week between the second and third Reiki session, Tiger was moving about the house and talking again, seemingly having lots more energy, although she was still not eating normal food on a regular basis. We decided to have one more Reiki session to see if it would further improve her well-being. The morning following the third session, Tiger was awake before we departed for work, screaming for food. We gave her some soft cat food, and she actually consumed half of the can! This was the first time Tiger had actually eaten a substantial amount of food in a month. That evening, Tiger was begging for people food (weird cat, I know, but she will normally eat anything). I gave her some table scrap which she ate. The following three days were more of the same, eating a normal portion of actual cat food and still begging for more. Seems she has recovered almost fully and is starting to put weight back on. Not to mention, she is not sick to her stomach anymore. 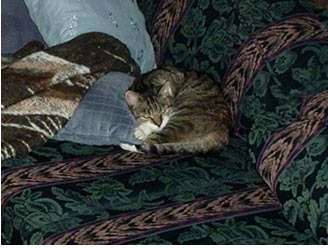 Had Reiki not improved Tiger’s health, the vet most likely would have recommended euthanasia, which he alluded to after she would still not eat when given the medication. Overall, the three Reiki sessions were more effective and cheaper than the vet visit and subsequent medications, and due to the fact it is natural, did not further traumatize Tiger and upset her stomach further. We would like to thank Ingrid so much for making us believers. Not only that, but she came over to our house (since Tiger wasn’t well enough for a car trip) within an hour of us calling the first time. Thank you for giving us back our Tiger! Thank you so much for the work you did on Indy and his hips this week. Thursday evening Indy walked for 2.5 miles all around West Market, Reston Town Center, and eventually navigated to Petsmart. On Friday night, he was feeling so good that he stole a tennis ball from a neighbor dog and insisted on playing fetch near our pond. He even retrieved the ball!!! We are so grateful. I had to undergo radiation therapy for breast cancer. I was told to expect it to be stressful and that I would probably be more tired than usual. To the rescue came Ingrid of Healing Hands. She gave me Reiki treatments once a week during the six weeks I was going through the daily radiation treatments. I can honestly say that I breezed through the whole radiation process and I attribute that to the Reiki I received from Ingrid. I was not stressed or tired at all. On the contrary, the Reiki made me relaxed and calm and even energized. It was wonderful and I am so grateful to her! Ingrid’s sessions are very relaxing and you feel rejuvenated after only one session.